This was a joint meeting attended by Members of the Portfolio Committee on Water and Sanitation and the Standing Committee on Appropriations. The only topic on the agenda was the presentation on the first quarter performance report by the Department of Water and Sanitation (DWS), which contained information regarding budget allocations, performance indicators and additional information on issues around governance and management within the Department. The analysis of the first quarter showed that the DWS had a 60% achievement of the quarterly milestones for the main account. In terms of the financial management component of water and trading, it had achieved 67% of the planned quarterly milestones, and in terms of the water resource management component, it had achieved all its targets. There was currently a 4% level of non-compliance, and the major area in this regard was strategic management. There were issues of fraudulent transactions being made in the DWS’s name, as well as a failure to uphold contractual liabilities. These needed to be looked at, as they had been labelled and identified as risks by the DWS. Members of both Committees raised concerns regarding accruals and contractual obligations faced by the Department. They questioned the lack of efficiency within the Department with regard to its management and collection of debts. 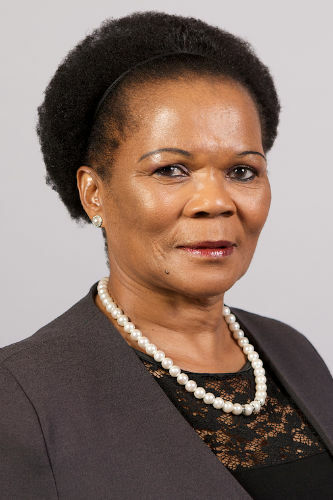 The Deputy Minister of the DWS responded to certain points raised, and said that she wished that the Minister had been present, as she also felt strongly about the situation regarding inefficiency within the Department. From 2014 until 2018 there had been five Directors General, and this was extremely frustrating. She requested that the Committee assist the DWS to resolve the issue of consequence management and lack of performance. 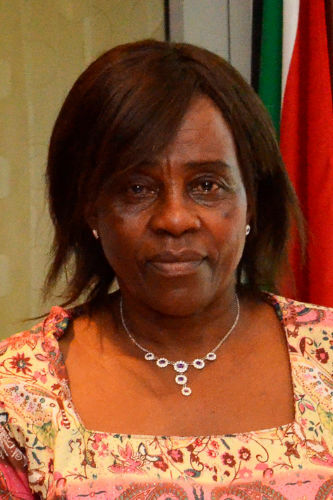 The Chairperson said that the budget had been discussed in the National Assembly, and it had been agreed that given the financial state of the Department of Water and Sanitation (DWS) and the fact that they had to deal with accruals, the main issue of focus would be where the DWS could get the funding for these accruals, and to fund the achievement of the aims set out in the performance plan. This was what had brought the Standing Committee on Appropriations and the Portfolio Committee on Water and Sanitation together. Ms Babalwa Manyakanyaka, Chief Director: Corporate Planning, DWS, said an analysis of the first quarter showed that the DWS had a 60% achievement of its quarterly financial milestones for the main account. In the financial management component of water and trading, it had achieved 67% of the planned quarterly milestones, and in the water resource management component, the it had achieved all the milestones. Ms Manyakanyaka said that there was a budget of R15.5 billion, but approximately 50% of it was exclusively appropriated. The financial year had started with accruals of R2 billion coming from the previous financial year. Most of the initial budget had gone to goods and services and as a result of this, the DWS had no budget for other contractual obligations, known as recurring expenditure, such as audit fees. The DWS also had currently liabilities resulting from unfunded projects, such as the “War on Leaks” project, for which they had paid R580 million. In the category of transfers and subsidies, there had been an initial requirement of the DWS to transfer or absorb R222 million of transfers which had not been made in the previous year. The lack of transfers or accruals had had a great impact on the annual performance plan (APP) which had been tabled before Parliament. In the administration budget, the DWS had projected that 14% of what administration was supposed to do, may not achieved, 46% of water and planning management targets may not be achieved, and 71% of water infrastructure and planning may not be achieved. Overall, 46% of the APP would not achieved as a result of the accruals. The DWS was implementing cost containment measures in low priority spending within the Department, so that these funds may help curtail the shortfalls. The DWS had spent 15% of their overall budget to date. Ms Manyakanyaka said that there was currently a 4% level of non-compliance, and the major area in this regard was strategic management. There were issues of fraudulent transactions being made in the DWS’s name, as well as a failure to uphold contractual liabilities which needed to be looked at. These had been labelled and identified as risks by the DWS. The Department had introduced a graduate programme, which seeks to mould graduate trainees and see that they get employed by the DWS in order for them to fill critical vacant positions, and aid in reducing the shortage of skills within the DWS, as well as bridging the age gap. Mr D Mnguni (ANC) addressed the structure of senior management and the eight acting Directors General (DGs) within the DWS. He wanted to know more about the plans moving forward in this regard, since a large portion of money went towards paying these senior members, instead of the money going down and benefiting those at the service delivery level. He wanted to know if the DWS had enough money to be operational, considering the large sum of money needed to pay the accruals from the previous financial year. Was the DWS confident that they would meet their own targets which they had set out in their APP? He criticised the DWS for failing to collect debt, even though they had been given an extensive report instructing them on the best methods of debt collection. Mr L Basson (DA) said that the finances of the DWS were in a total mess. He needed to understand why the names of unfunded projects, such as the “War on Leaks” and others, had not been mentioned in the report. He also wanted to know if the DWS had sat down with National Treasury to try and fix the problem of overdrafts, as requested previously by the Portfolio Committee on Water and Sanitation. Ms M Manana (ANC) sought clarity on the transfers which had not been made in the previous year. Why had the DWS requested permission to submit a new APP? How soon could this submission be done? Had they been submitting incorrect APPs to Parliament, and how did they plan on correcting the current APP? Ms D Senokoanyane (ANC) wanted to know more about the individual budgets which were supposed to be allocated to each area, and why there were transfers which had not been made, along with an explanation on why the DWS had failed to collect debt owed to them. Mr N Gcwabaza (ANC) wanted specifics regarding the targets which had not been achieved, as well as the amounts spent as a result thereof. On the issue of accruals, the DWS was required to quantify the shortfall of this year’s budget as a reuslt of having to pay these accruals. He wanted to know where the DWS planned on getting the funds to fulfil their contractual obliagtions, and how much money they needed to fulfil them. He asked the Department whether they had started an investigation into the fraudulent transactions being done, to find out who was behind them. The Chairperson sought clarity regarding the fraudulent transactions as well. He also said that the R430 million being spent on office accommodation needed to be addressed by the DWS, because this was far too much. Ms Deborah Mochotlhi, Acting DG: DWS, said it was true that the accruals of last year had made a huge impact on this year’s budget. She had addressed this with the Minister, and they had met with National Treasury. The outcome of this meeting had resulted in a financial recovery plan which was still being finalised. This plan dealt with the issue of contractual obligations, as well as irregular expenditure. Programmes such as the “War on Leaks” were really beneficial, and the acting chief financial officer (CFO) would answer questions about them. Ms Manyakanyaka addressed questions regarding performance targets which would not be met. She said that in the detailed report which had been submitted to the Committee, the areas of concern were in red. The reasons for not achieving targets had been indicated in the detailed report which had been submitted to the Committee. The Acting CFO of the DWS addressed questions regarding the main account. He said that the accruals required R2 billion, and R1.7 billion had been paid. The challenge now was that there was no money left for the DWS to be fully operational this year, and so in the first quarter of this year, the DWS had tried to relook at their books. The amounts spent on the “War on Leaks,” and the amounts owed, were R70 million from last year, and R572 million for this year. Addressing the questions regarding why there were transfers from the previous financial year that had not been paid, he said that this was a result of DWS cash flow problems, so the burden to pay these transfers had fallen on to this year’s budget. The amount of work done this year had therefore had to be reduced accordingly. The Chairperson said that the DWS had to put more focus on better placement of employees in order to ensure that those who held senior positions did so optimally, and that the DWS should reprioritise and readjust their approach in this regard. Mr Basson said that the amount that the DWS had paid for “War on Leaks” this year was not the same amount which they had indicated earlier in the year. He then wanted to know where it had got the money to pay for the programme, in light of it not having enough funds. Ms Manana requested a detailed report on who the DWS had been paying, and where they got the money from. Mr Mnguni said that the DWS had been beating around the bush and had not been answering the questions raised with the correct level of specificity. Mr AM Shaik Emam (NFP) said that every time the DWS appeared before the Committee, they gave it the run around. Each year, the same people in the same positions let the Committee down. This essentially had dire consequences for the people of South Africa, so he felt that drastic changes needed to happen within the DWS. The Chairperson said the issues raised by Mr Shaik Emam had been raised before, and those who were not doing their job needed to be named and shamed, and ultimately be removed. Ms Pamela Tshwete. Deputy Minister of the DWS, responded to the points raised by the Chairperson, and said that she wished that the Minister was present, as she also felt strongly about the situation. From 2014 until 2018 there had been five DGs, and this was extremely frustrating. She therefore requested that the Committee assist the DWS to resolve this issue of consequence management and lack of performance. The Acting CFO touched on the question regarding how the accruals impacted the current financial year’s budget. He said that the issue of overspending was a direct result of having to pay the accruals. The Chairperson said that he was not satisfied, as many of the questions had not been answered thoroughly enough by the DWS. Mr Shaik Emam wanted to know what the spending would be if the accruals were not an issue. He asked the DWS for a report which he had asked for in 2015, and which he was still waiting to receive. Mr Basson said that he wanted more clarity on the overdraft issue. He also wanted to know where the DWS had found the money to pay for the “War on Leaks” programme. Ms Mochotlhi said that she too wished that the Minister was present. The Minister had authorised the payment to “War on Leaks” due to their contractual obligations, and this money had come from other programmes within the DWS. It had essentially been a political decision made by the Minister to allow the reallocation of funds to pay for the programme. Mr Basson said the DWS urgently required assistance, or they would end up in a massive crisis. They needed to ensure that municipalities paid the DWS by intervening and saying that if no payment was made, then cuts would be made. Mr Mnguni said the Committee was dealing with a non-functional Department. The two Committees were not happy with the way in which they had been interacted with today. There had been 58% performance with a 68% expenditure, according to his own calculations, so the DWS was spending more than needed. He said that there were people who were working on water infrastructure and construction who were not doing any work and not being productive, and this was extremely detrimental. Mr Shaik Emam wanted to know the specifics of the overdraft in terms of how much had been spent. He also asked how many people who had been found guilty of misconduct after investigation, were still employed at the DWS,. The Chairperson asked that the responses be brief and succinct. The Acting CFO said that the DWS was not paying anything on the overdraft in terms of interest. Mr Shaik Emam wanted to know more about disciplinary proceedings and how the DWS would efficiently carry out these proceedings when it came to employees who did not deliver. He also said that the banks did not want to deal with the Department due to its internal mismanagement. 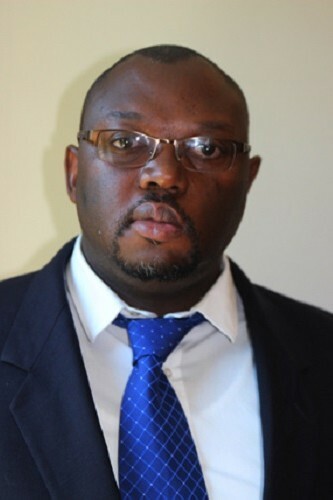 Mr Gcwabaza said that when the initial budget had been passed, it was assumed that those employees who contributed to there being accruals from the previous year would no longer be involved. Now that these assumptions were not accurate, there was a lack of confidence towards the Department. The Committee wanted reports with regard to when small rural areas would receive their water supplies, and how the water infrastructure in these areas would be improved or repaired. He also spoke on corruption and fraudulent transactions, saying that it was time to clamp down on these unlawful actions because those employees who were guilty were not only not being productive, but they were enjoying salaries which they had acquired through fraudulent means. The Committee wanted to see an immediate turnaround by the DWS in terms of functionality, management of funds and service delivery. Mr Shaik Emam (NFP) said bulk water infrastructure was an important aspect of South Africa’s industry, and the DWS needed to report back with evidence regarding their progress in this regard, and if there was no progress, they must provide a plan going forward. He said that when they meet next, the Committee wanted to see evidence in terms of progress, as this would clear up any misconceptions about the DWS and also help the Committee have more confidence in them.